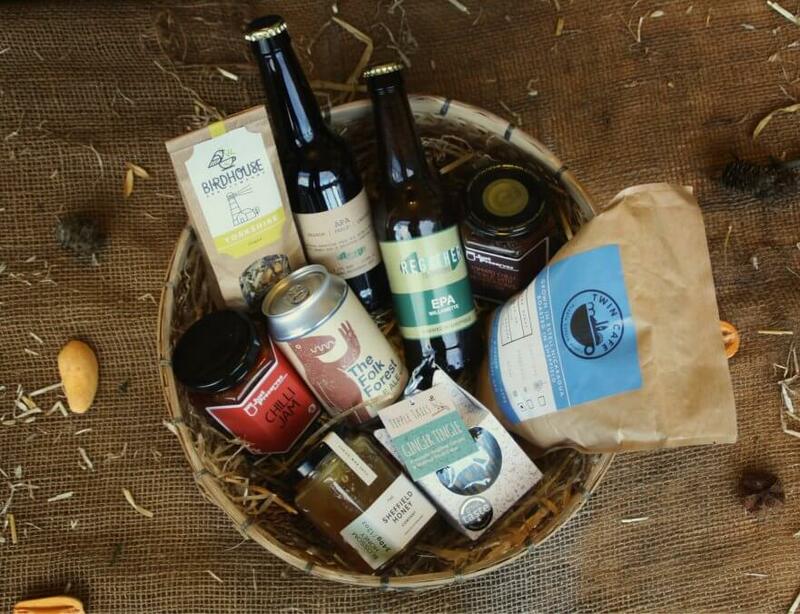 This year we’ve designed 3 local produce hampers that celebrate the best of Sheffield produce. Regather work with local producers year round, but at Christmas time we combine the best of what Sheffield has to offer, to create beautifully presented, deliciously tasty, locally made, deli style, Christmas gift hampers. We’ve got 3 sizes to choose from; small £22, medium £35 and large £48. Find the full contents list for each hamper further down this page. So why buy a local produce hamper and give the gift of local produce to your friends and family? Buying locally made products supports Sheffield businesses and food producers. Using your buying power to support local, small and independent businesses has an economic impact on our city and keeps small-scale producers doing what they do! 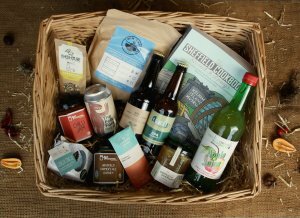 A local produce hamper celebrates all that is good on our doorstep. If you’re proud of your city (and you should be), then show it off! A local produce hamper helps you to discover new local producers, taste new flavours and celebrate our cities favourite products. The Regather hamper is packaged in a cardboard box with woodwool (shredded timber). There’s no big plastic wrap! It looks beautiful, and you can re-use or compost the packaging afterwards! 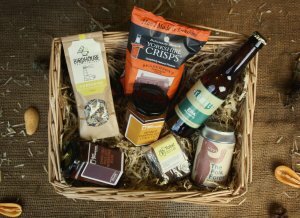 The 3 Regather hampers are made exclusively from local products and that means that the food miles on these hampers are really low. For example, the Honey was picked up in S6, the loose leaf tea and preserves were collected from Nether Edge, the chocolate was made in Kelham Island and the Craft Ales were made right here at Regather (S11). 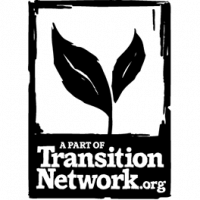 You can choose to collect your hamper from Regather throughout December, or opt for delivery around Sheffield (£2). What are the hamper options? When will the hampers be ready? Our team will be making hampers throughout December. We can prepare your hampers for collection from Regather (S11 8BU) on Thursday afternoons (6th, 13th and 20th December) between 2:30 & 7:30pm. If you opt for a home delivery, the delivery will be on a Thursday or Friday, and we’ll ask for instructions for where to leave the hamper if you’re not home at the time. What if I want to change something in the hamper? Don’t want alcohol? Need a totally vegan hamper? No problem! Just let us know your preferences and we’ll see what we can do!